The Beringer top race kit is at the pinnacle of braking systems, used by factory teams worldwide winning countless National and world championship titles. 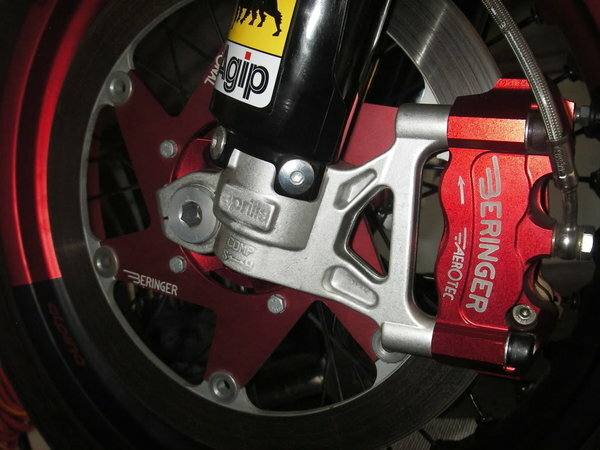 Yet still a product available to any rider either for racing or road use and available in options to suit both. 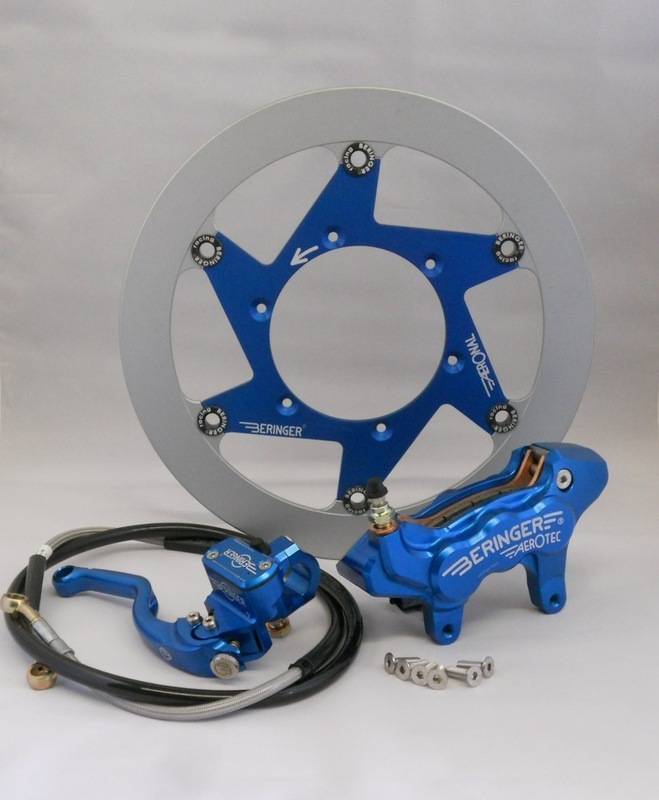 Kits supplied come with a 6 piston axial mount caliper , a Bro series master cylinder, a cast iron racing brake disc and racing brake hose. A stainless steel disc and road compound pads can be supplied if required for road use. Please select kit required from options below, please contact us for any further information if unsure. 310mm , 320mm or 300mm disc options on certain models. Extra option available for those using a 16" front wheel size. Please ask for details.